Apple iPhone 7 Schematics:As we reach Apple September event thins getting clear about Apple’s new flagship iPhone 7 as it’s confirmed that only two model will make entry with two screen sizes as like current gen 4.7-inch and 5.5-inch which surely resembles Apple this gen flagships iPhone 6s. New schematic roaming around internet about these two devices showing only difference in slimmer antenna band and dual camera in Plus model with smart connector. This year may the two sizes flagship is surely different into all the aspects like new features and new hardware. Earlier weeks there are different schematics of these are arranged differently but today’s schematic consist these two device into one image which clarifies many doubts. 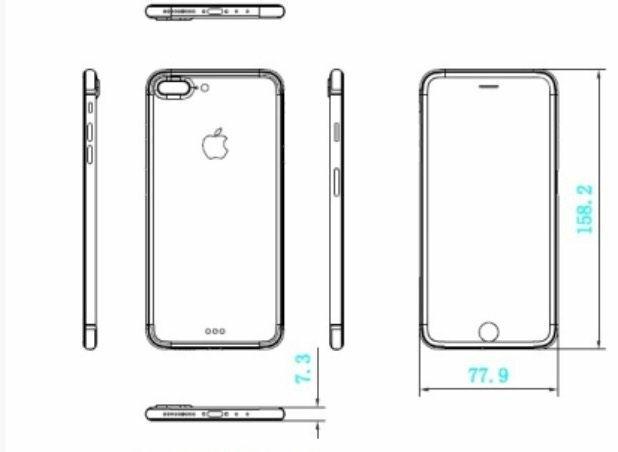 The measurements indicate the iPhone 7 will be thicker at 7.2mm excluding camera bump while the previous iPhone 6 is 7.1mm while it is sad news while removing 3.5mm headphone jack the new iPhone 7 will have stereo speakers for more sound will amplify while the Plus model will have more microphone spots will make Siri to listen from farther distance which will run Hey Siri feature as expected. While Rumor for dual camera in Plus model still takes it’s place which signifies that it surely make entry in Apple style. 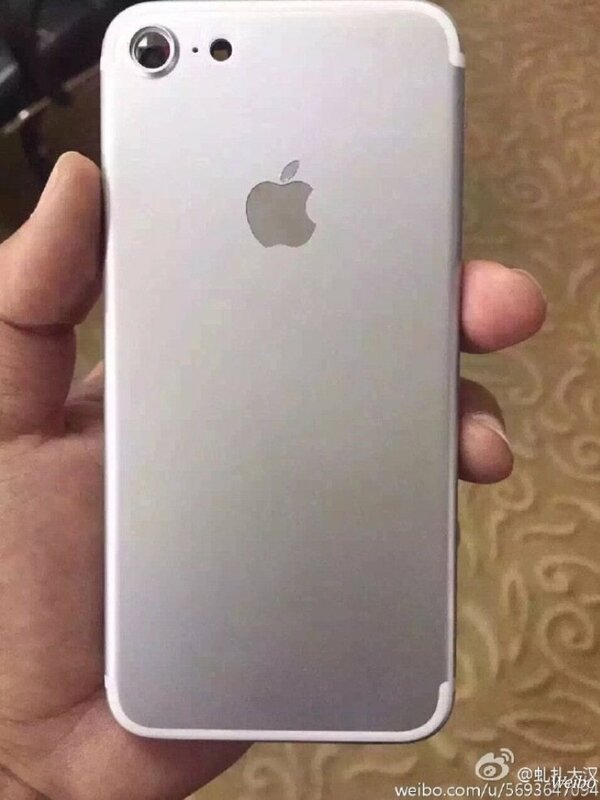 The schematic for iPhone 7 Plus shows that it will have edge to edge display as from the drawing but it’s look like mistake. The FaceTime camera also lose its mark from casing as from the image but there is not sure what happen and what not. But still Apple has earlier patented about no camera integrated into casing as it hide behind screen. As changes Rumor like bezel less doesn’t make entry iPhone 7 Plus as the design is replica of iPhone 6 with further enhancement to give texture of up gradation. iPhone 7 Plus is big change over it smaller sibling 4.7-inch as it consist of new dual camera, Smart connector, more Ram and further more which we won’t know yet. A design and internal changes will take place as indicating towards iPhone 2017 with all glass back and front with AMOLED display. As AMOLED display will make it’s entry to 2016 iPhone also. Surprisingly Smart Connector will round up in Plus model as it open doors for many other hardware like keyboard,new Memory devices like OTG or much more as the connector limit as endless and it lies behind developers and Manufacturers what they do with this. Smart Connector also opens door for inductive charging which more requested feature among iPhone. As the iPhone 7 will light up stages in this fall or in Apple September event. Analyst and suppliers suggest that this gem iPhone will outsell each and every model as they suggest upto 72-78 million units at the end of 2016 which creates record selling iPhones units. There are more interesting to happen as event of WWDC in which Apple reveals the 10th instalments of it’s iOS on June 13 so stay tuned until then.